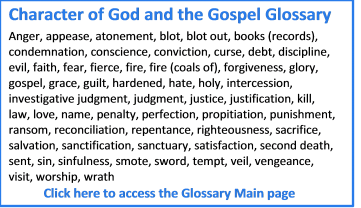 This page is a work in progress at understanding the history of the character of God issue. Some portions are represented by not much more than headings. I have included sources where possible. The hope is that others might come across more details of the history and be able to suggest how to fill in the blanks. Note that this website, to some degree, is meant to be a cooperative effort from various contributors. Contact me if you have more to add – Ray. So His character never changes. While God may interact differently with different people at different times in different circumstances, it is precisely because He does not change that He always does the most loving thing as required in a situation. Thus, He might appear to change. But what has really changed is our perception of Him. We are the ones subject to change. So while God’s character is a constant, our perception of what He is like has changed over history and been affected by various forces. It is interesting to look into the progression, over time, of the issue of how God’s character is understood. 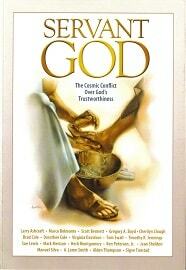 When God built His universe He built it to operate in harmony with His own nature of love. The construction protocol on which God built His universe is known as God’s law and this law is the law of love, an expression of His nature and character. Functionally, Paul describes this law as “love seeks not its own,” or “love is not self-seeking” (1 Corinthians 13:5). This means that love is selfless rather than selfish. Love is giving rather than taking and life is actually built, by God, to operate on this principle of giving. A simple example of this law in action is respiration. With every breath we breathe we give away carbon dioxide (CO2) to the plants and the plants give back oxygen to us (the law of respiration). This is God’s design for life, a perpetual circle of free giving. 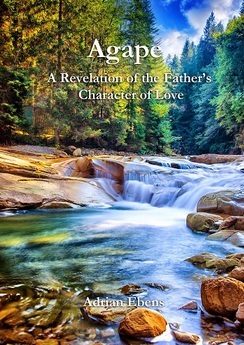 It is an expression of God’s character of love, and life is built to operate on it. If you break this law, this circle of giving, by tying a plastic bag over your head and selfishly hoarding your body’s CO2, you break the design protocol for life and the result is death. “The wages [result] of sin is death” (Romans 6:23). This circle of giving is the law that God constructed life to operate on. The word “war” in verse 7 is translated from the Greek word polemos (Strong’s G4171) from which we get words such as polemics and politics. A typical tactic in political campaigns (as we very much see in our world) is to attack the character of one’s opponent. 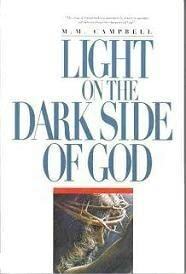 Thus, as begin to understand the details, is the character of God revealed in contrast to that of Satan. That is the object of this website. How planet earth became the focus of the universe. Justin Martyr (A.D. 103-165) taught that Christ came to do three things: to overthrow death, to destroy Satan, and to restore humanity back to God’s design, thus providing eternal life to fallen humanity. “We come here to the famous Irenaean doctrine of Recapitulation. The conception is that of Christ as the Second Adam, or second head of humanity, who not only undoes the consequences of Adam’s fall, but also takes up the development of humanity broken off in him, and carries it to completion, i.e. to union with God and consequent immortality. But this truth was lost and another concept of law replaced it: Romanism. Imperial Rome’s concept of government and law infected Christian thought after the emperor Constantine converted. Prior to Constantine’s conversion, Christianity understood God’s law as the law of love: Therefore love is the fulfillment of the law (Romans 13:10, emphasis mine; see also Psalm 19:7; Proverbs 12:28; 21:21; Matthew 12:37-40; Galatians 5:14; James 2:8). But after Constantine converted, the Christian church accepted Rome’s change to God’s law, and what was that change? That God’s law is an imposed law with no inherent consequence, thus requiring the lawgiver to police breaches in the law and inflict punishment, rather than the truth that God’s law is the natural law of love, the design protocol on which God created life to operate. Christians lost sight of God’s law of love and instead accepted an imposed law system modeled after human governments. After all, if they still believed God’s law was the design law of love, like the law of respiration, then would they ever have thought a church committee could vote to change such a law (something the church did vote in committee to do)? But they could only vote to change God’s law after they first accepted the concept that His law is imposed, not natural. Think of the Catholic churches claim to have changed the Law of God. This shows that there has been the acceptance of a change in God’s law from a natural law to an imposed law. If theologians viewed God’s law as a principle on which life is built, like the law of gravity, thermodynamics, and respiration, then they would not have been so foolish as to think or claim to change it. The fact they have “changed” it reveals the acceptance of a shift from understanding God’s law as natural to imposed. This shift towards an imposed law with external punishments altered the view of God held by Christians and lead to such things as the Crusades, the Inquisition, and later genocidal acts. Of course, the main motivation with such an approach is fear. This does not line up with the Biblical message of love. Also, it promotes a very wrong image of the character of God as explained on this website. The first Great Awakening was followed by the Second Great Awakening which began about 1790 and extended well into the 19th century. For many examples of this, largely from the 1800’s, a time of spiritual enlightenment and intense Bible study, go to this page. Recently, there has been a great increase in the number of people from a wide variety of belief systems who are challenging the standard ways of understanding God and the Traditional Legal Model of the gospel. This site was started in December 2015 as an attempt to further this message by providing resources on the topic and helping those who promote this message work together and learn from each other. See more about this site.